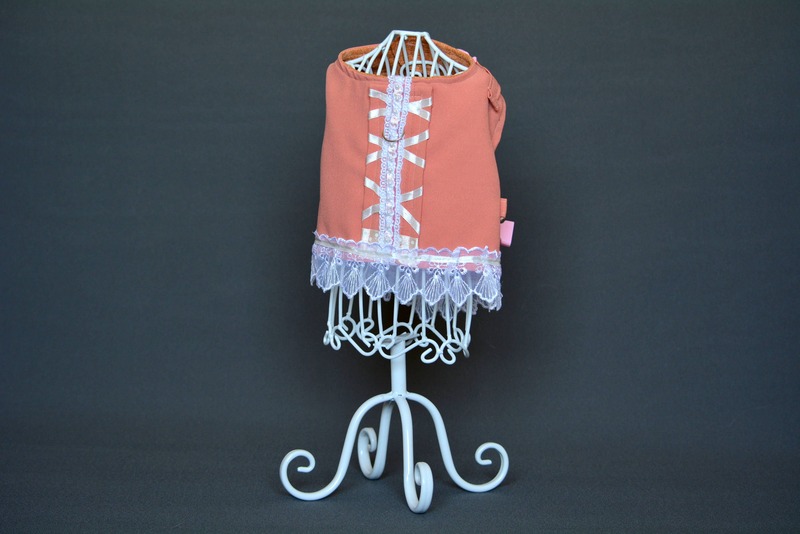 Pretty shabby chic cat walking jacket is a combination of both Style & Functionality. 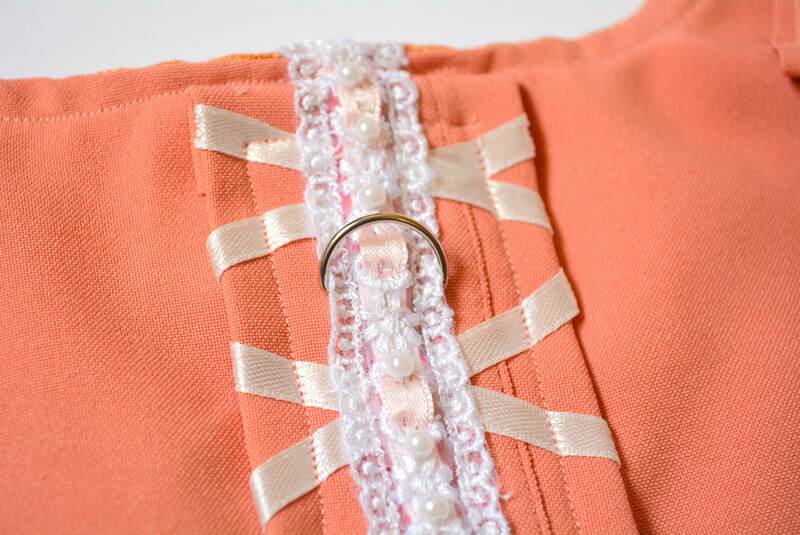 Decorative ribbon on the back of the jacket gives a lovely corset look. 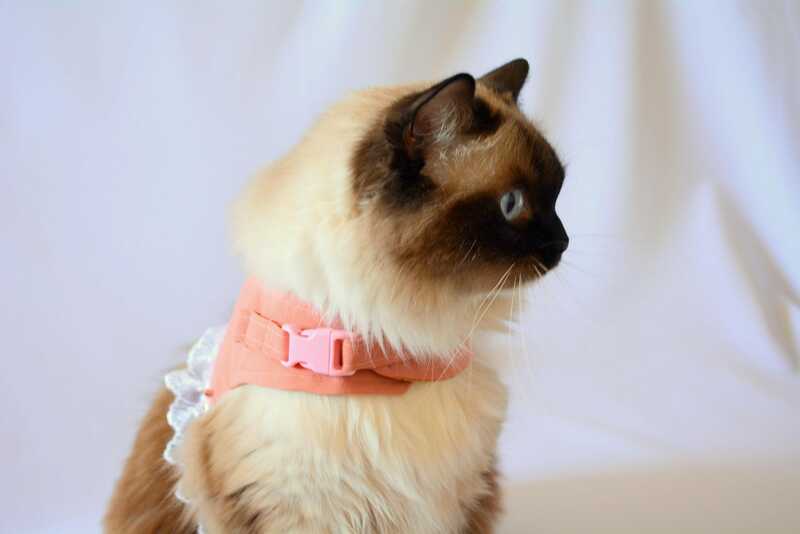 The cat costume has a lining to give it the professional finish. 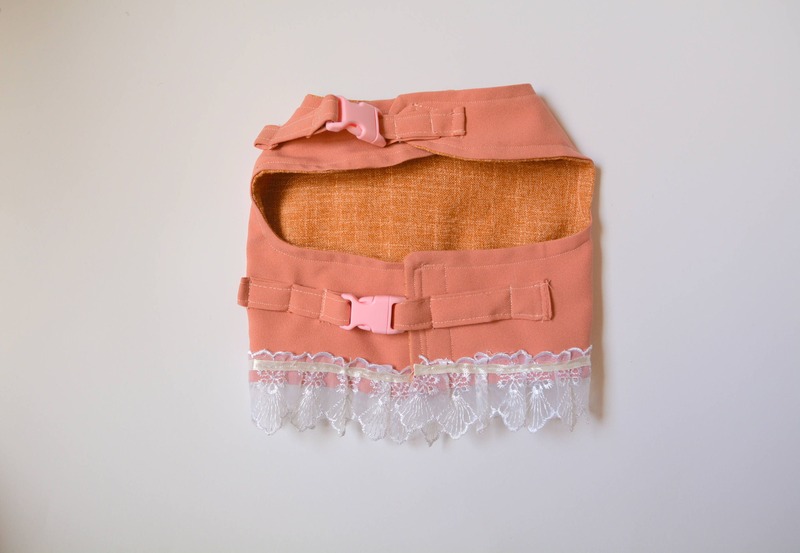 ✔ Fitted with Velcro as well as non-breakaway buckles. Why both? ✔ D-ring on the back of the jacket. 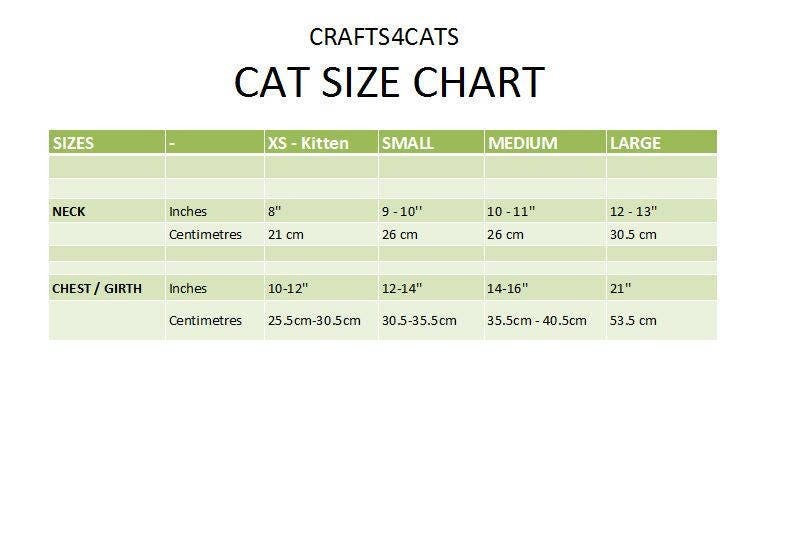 Please measure your pet and follow our Size Chart guide. 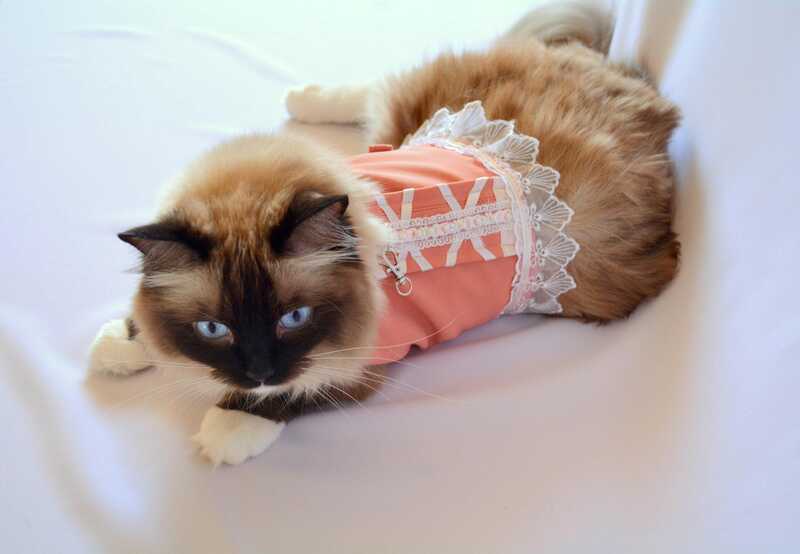 If you are not sure what to choose or your cat does not fit in any of the categories, simply submit your measurements during the checkout or simply contact us. 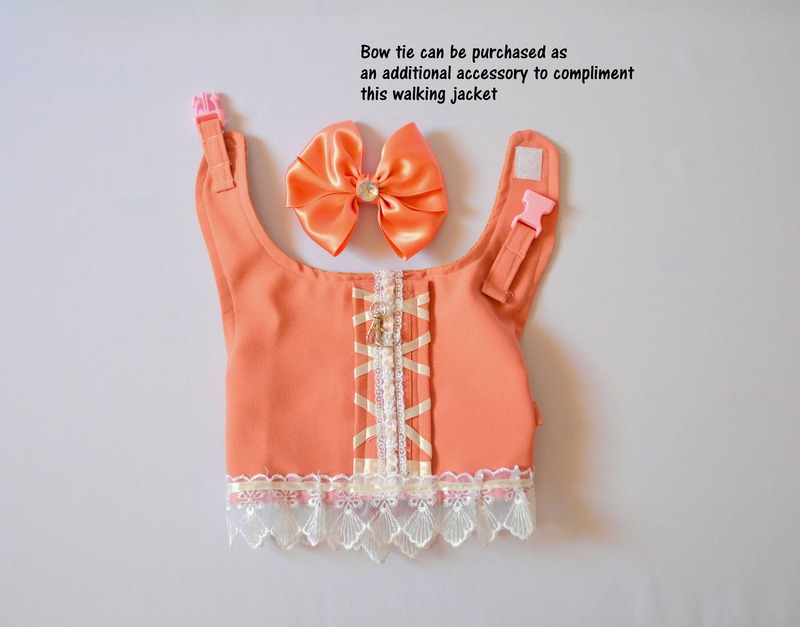 On photo - the size of the jacket as on pictures is Medium, it will fit cats of around 3.5-4kg e.g. 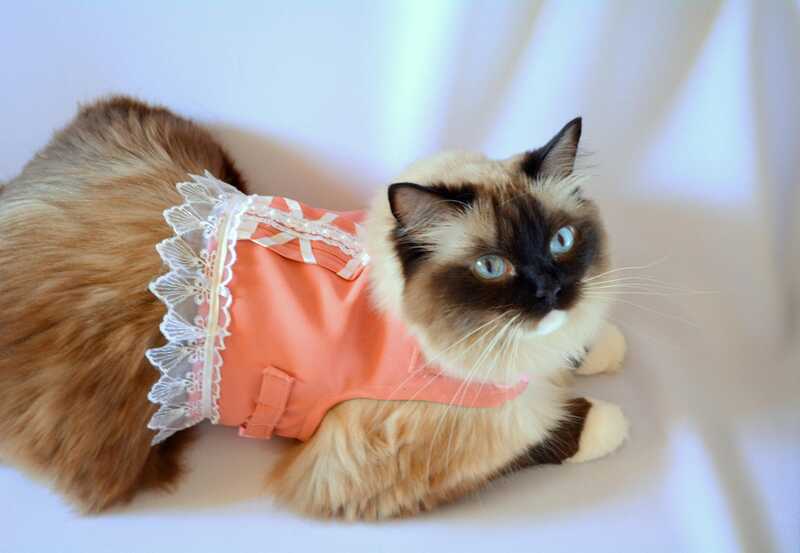 Female 2-3-year-old Ragdoll., Tabby Cat etc. 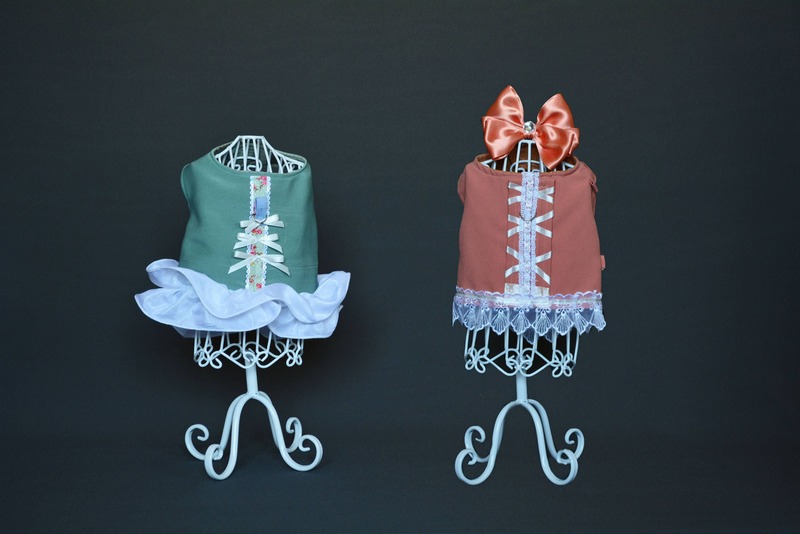 If you would like this style in any other colour or size, please do not hesitate to contact me. This is is a handmade item. Production time of the custom order is around 2 working days. How to measure your cat or dog?